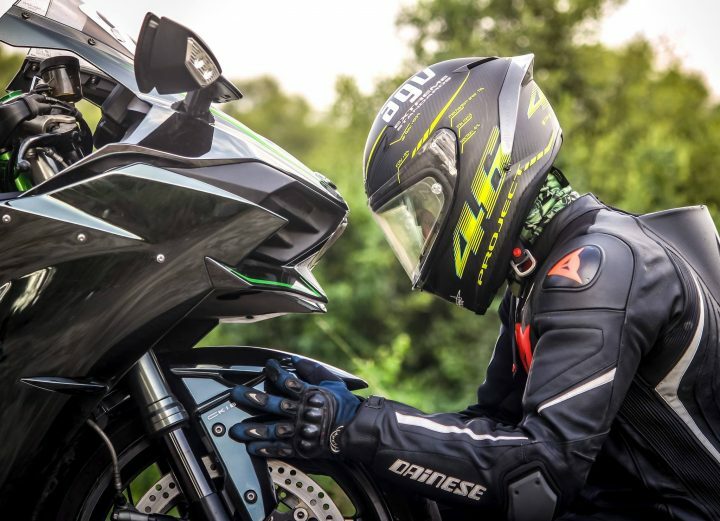 So, you’ve completed your motorcycle training, achieved full license, and are now waiting for a new bike to hit the streets and put your skills to the test. If you are confused and downright intimidated by the innumerable motorbike models available in the market, read on. These tips can help make your first purchase more interesting and less stressful. You may have done superbly at your training class, but the situation is entirely different when you are on your own on the roads! As a newbie rider, it is best to go for a lightweight and lower seat model as it would give you more control on balance, steering, speed control and braking. With a lower seat, you’ll be able to stop the bike safely with your feet firmly on the ground. Look for models with an ABS or Anti-Lock Braking System to be able to stop the vehicle quickly, safely and easily. Standard motorbikes fall under the ‘street bikes’ category. These are not specialised but general-purpose vehicles that do not feature extensive safety mechanisms such as windscreens and fairings. The design of these bikes enables riders to assume a riding position that’s natural to their body, which means lower stress on the body. With only basic features, these vehicles are cheaper. As you are more likely to be prone to falls when you are just starting out on your bike, it is better to go for these low-cost, safer bikes. Scooters and mopeds are recommended if you are looking for a less fast version of standard motorbikes – these vehicles are not suitable for motorway riding though. Choose the Right Motorcycle Training Too! As important as choosing your first bike is, it is equally important to be well-trained in using one first. A1 Motorcycle Training is a motorcycle training centre in North East with over 8 years of experience in bike training. Over 10,000 students have been trained by our motorbike training team in North East. Our motorcycle training experts are DVSA qualified. As RoSPA and Gold Advanced certificate holders, the aim of our motorbike training centre is to teach you to ride safely and skilfully. Our motorcycle lessons across the North East are hands-on and designed to accommodate learners’ needs. We provide motorcycle lessons 7 days a week and you can choose to go for any course, from CBT to full license and more! Whether you are a beginner, an accomplished rider looking to improve safety skills or a fairly good rider looking to advance your skills, our motorbike training centre has a course to cater to your expertise level and requirements. We offer motorcycle lessons in North East to suit different budgets too. Our motorcycle training service is accessible throughout the region – call us at 0191 460 87 25 for more information.